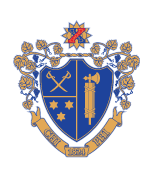 The Chi Phi Educational Trust is governed by a twelve man volunteer Board of Trustees. Trustees are responsible for many services for the Trust and the Fraternity. First and foremost, the Trustees are charged with ensuring the fiduciary soundness of the Trust. Trustees must make certain that funds are only being used to support educational programs and qualified purposes in concert with the Trust’s mission. The second major responsibility of a Trustee is to oversee the financial investments made by the Trust. Members of the Board must make sure that the Trust corpus grows over time and that all activities are within legal limits of the Trust Indenture. The third major responsibility of all Trustees is fundraising. In order to continue the storied legacy of Chi Phi, the Trust must raise the capital necessary to support the mission. The Board of Advisors supports the Educational Trust’s Board and provides critical advice on a number of current issues facing the Trust. This is of particular demand today because of Chi Phi’s growth rate, the resulting demands of a rapidly growing membership organization and the changing Greek world. The Board of Advisors help Chi Phi stay at the forefront of Greek life, creating an authentic, values-based experience at America’s leading institutions of higher education. Advisors have no formal authority over, or responsibility for, the Trust; this keeps their involvement simple and liability-free, yet engages their talents and experience in critical leadership issues. A good fraternity experience empowers good men to become better men through college life. A strong fraternity chapter plays an important role in a college community. • Have a desire to positively impact young men. • Have achieved significant success in their career. • Have a desire to be involved and engaged, but have very limited time to give. The Governors are elected by Chi Phi Congressional delegates and are responsible for appointing and removing Chi Phi Trustees. The Scholarship Review Committee is comprised of Chi Phi Alumni and Friends. This group of dedicated volunteers reviews over 100 scholarship applications for the Chi Phi Educational Trust Undergraduate, Graduate, Neel, Soderquist, Ramsaur, Vic Pryles Memorial and Morris Family Scholarships each year. The MacLean Legacy Society recognizes those generous Alumni and friends who have made Chi Phi the beneficiary of a planned or estate gift. These loyal supporters are helping Chi Phi build better men, Chapters and better communities, now and for generations to come. These individuals belong to the most exclusive of Chi Phi affiliations as they have projected their love for Chi Phi and its mission beyond the horizon of their own mortality. Click here to learn more about this council. Members of the Gladfelter Circle Advisory Council promote giving at the Gladfelter Circle levels and serve in an advisory capacity to the Trust. To learn more about the council, click here. To learn more about the council, click here. Members of the Chi Phi Fund Advisory Council promote annual giving to support the Chi Phi Fund. These gifts are used to fund Chi Phi educational programs, scholarships and other areas were the need is greatest.